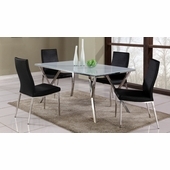 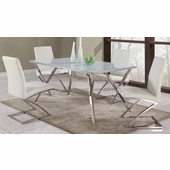 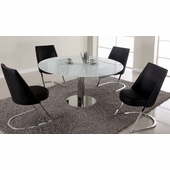 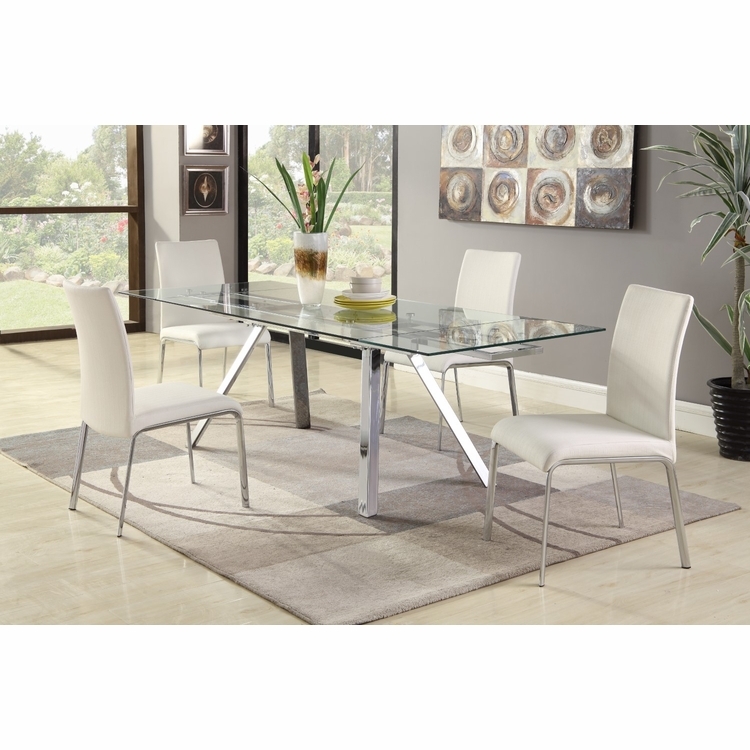 Featuring two self-storing extensions, this tempered glass table adds style and additional seating to any dining room. 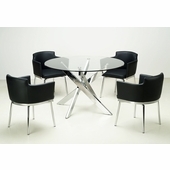 Each pull-out extension is equipped with self-guided tracks for smooth, user-friendly movements. 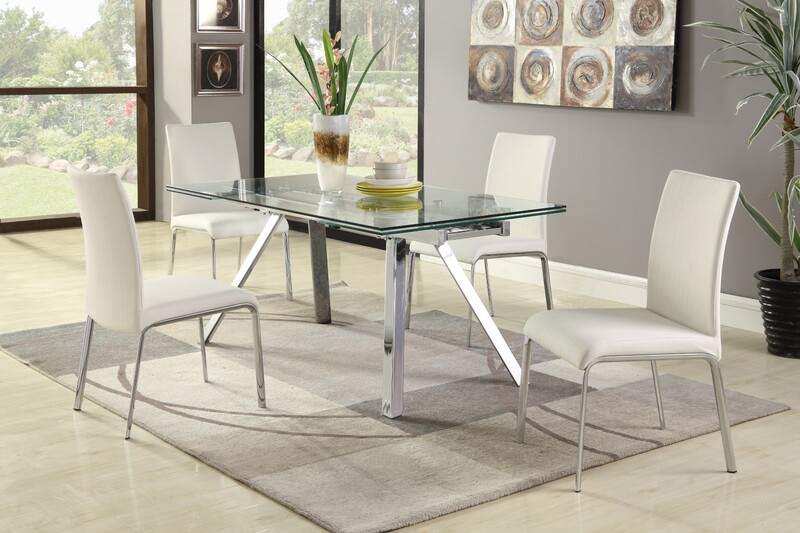 The sturdy, pyramid style legs of the table, have a chrome finish, matching the legs of the faux leather upholstered dining chairs.